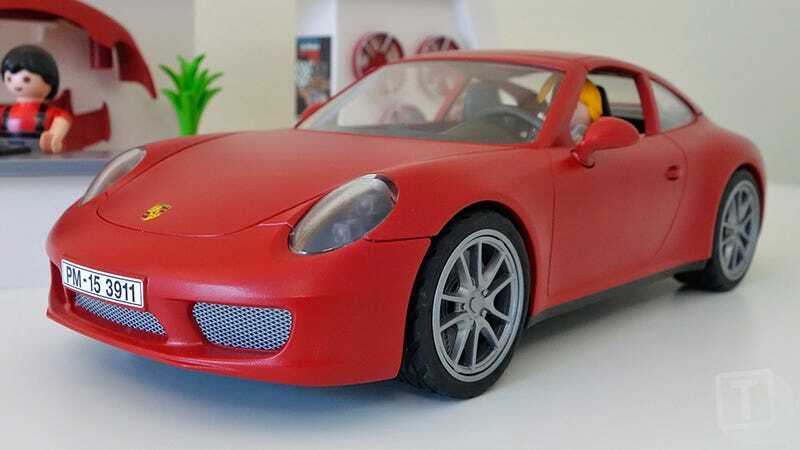 Unless targeted at collectors who are happy to pay a premium for details and accuracy, toy versions of exotic sport cars rarely bear more than a passing resemblance to their real-life counterparts. So what happened here? 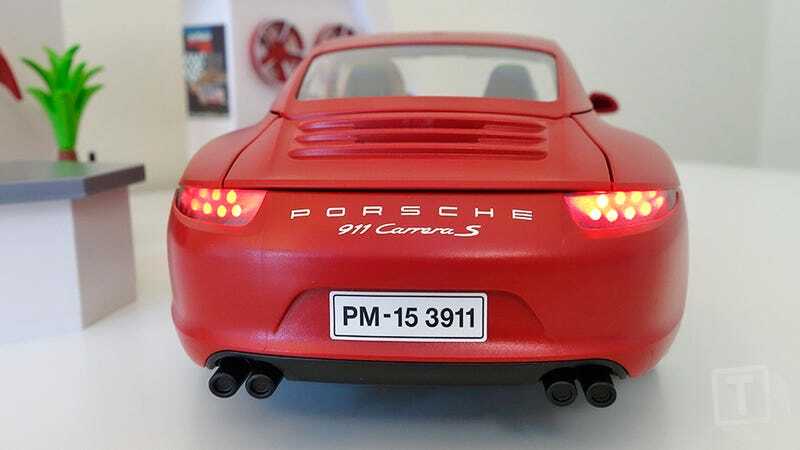 Because Playmobil’s Porsche 911 Carrera S is a near flawless replica. 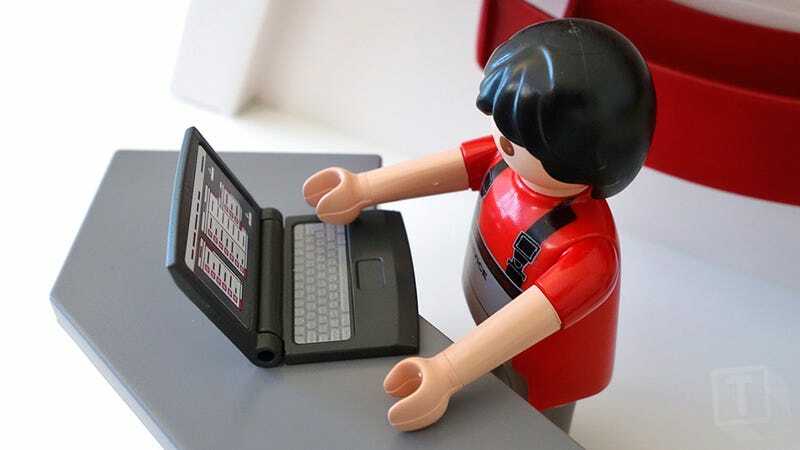 The Playmobil brand only dates back to 1975, but it has already managed to establish itself as one of the few toy lines that can give Lego a run for its money when it comes to the breadth, variety, and sheer number of sets available. Especially when it comes to cars. 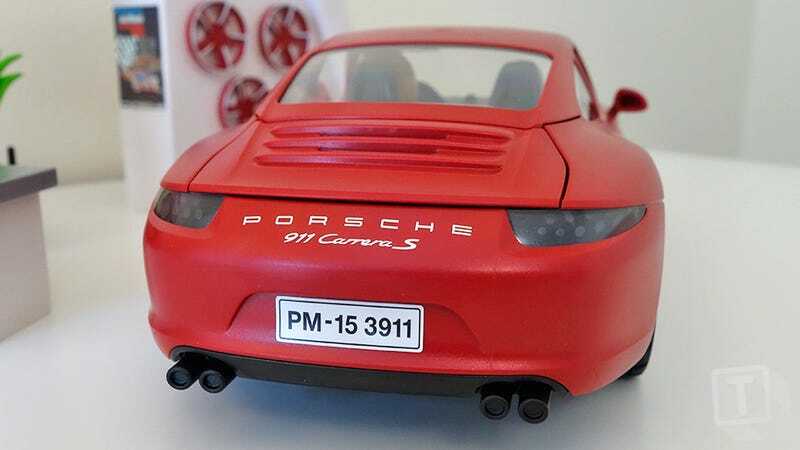 Over the years the company has produced toy versions of a few lustworthy vehicles, including the BMW Z4 Roadster, but its recent partnership with Porsche has resulted in a brilliant miniature version of the 911 Carrera S. If you’ve been looking for a subtle way to hint to your young kids that they could one day show their appreciation for you raising them by putting a 911 in your driveway, this is it. Just look at that smile. 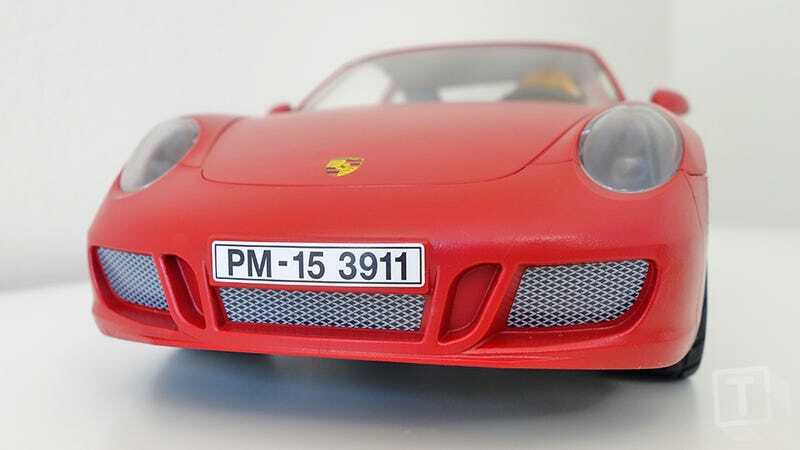 At £30, Playmobil’s Porsche is a bargain compared to similarly sized die-cast replicas, but it’s clear the company’s designers still put a tremendous amount of work into ensuring the toy’s lines, curves, and other details are near perfect. There are some compromises, though. 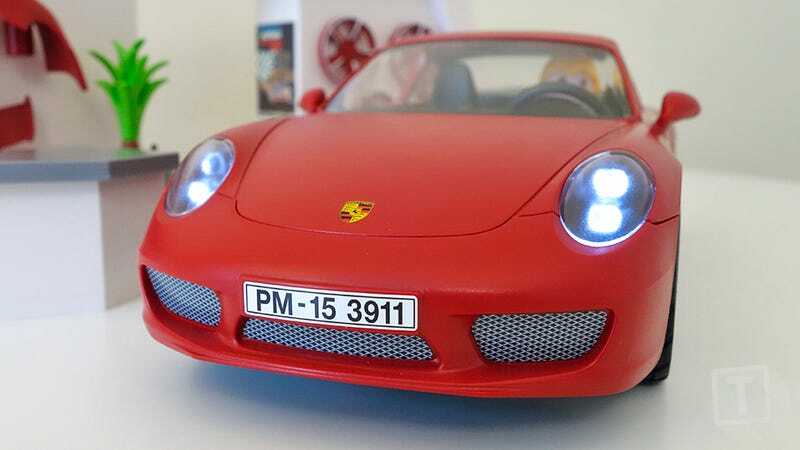 Like many other Playmobil vehicles this Porsche’s doors don’t open, nor does the hood. 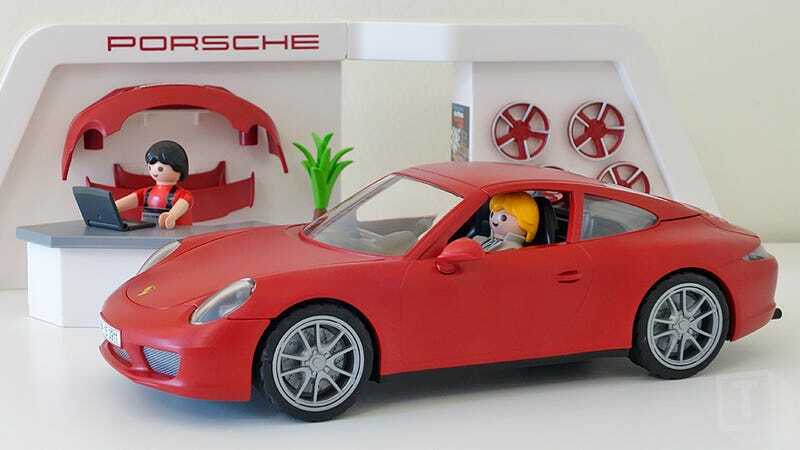 But it does accommodate a couple of Playmobil figures inside, and comes with a Porsche dealership playset so kids can make believe their credit rating will be high enough to actually afford one some day. The 911 Carrera S’s trunk does open, however, revealing the vehicle’s engine inside. And that licence plate number? 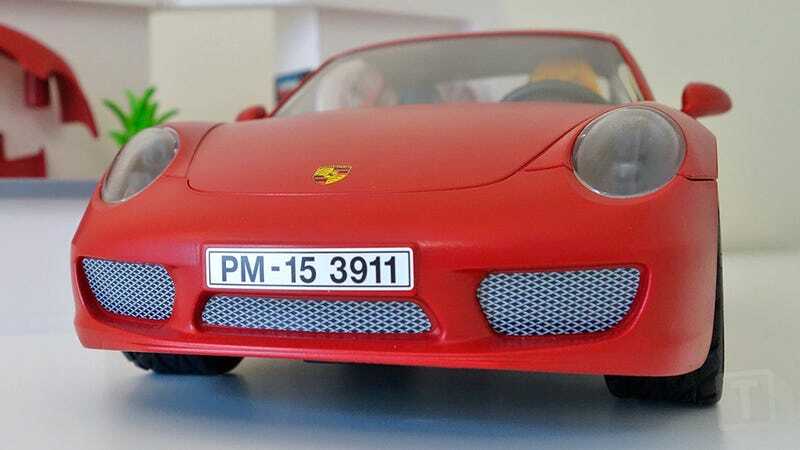 The PM is short for Playmobil, while the 3911 is the official model number for this set. 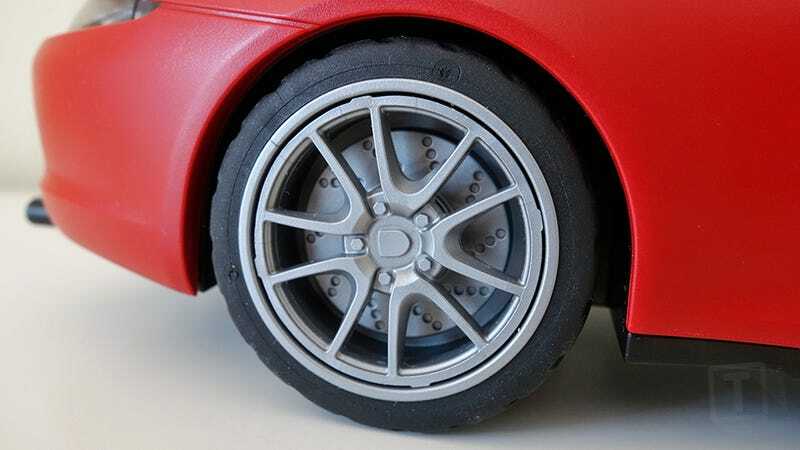 Even the Porsche’s brake’s rotors are visible through its hubcaps on every wheel, which is a nice touch. 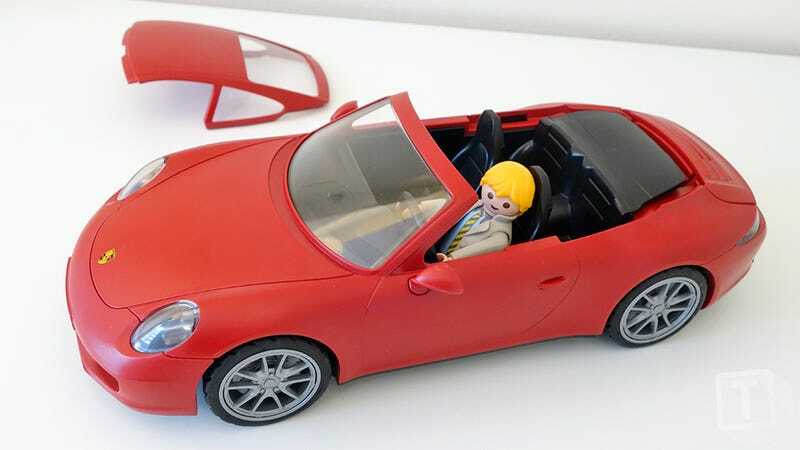 Given the lack of opening doors, Playmobil figures can only climb in to the vehicle’s driver and passenger seats by first popping off the Porsche’s roof. But that has the added bonus of turning the car into a convertible, so odds are you won’t hear them complaining. We’re also awarding bonus points for the popped blazer collar on the included figure. He’s definitely a Porsche driver. 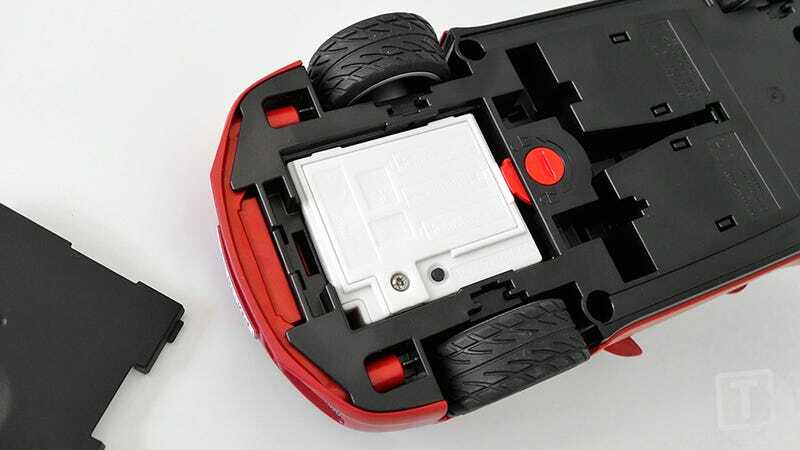 Flip the Porsche over, remove an access panel, and you’ll find one of the best features of this toy. A small white box filled with three AAA batteries powering a set of coloured LEDs that bring the Porsche’s lighting to life. At the push of a button the car’s headlights glow. Even the dashboard glows with a bright blue tint. 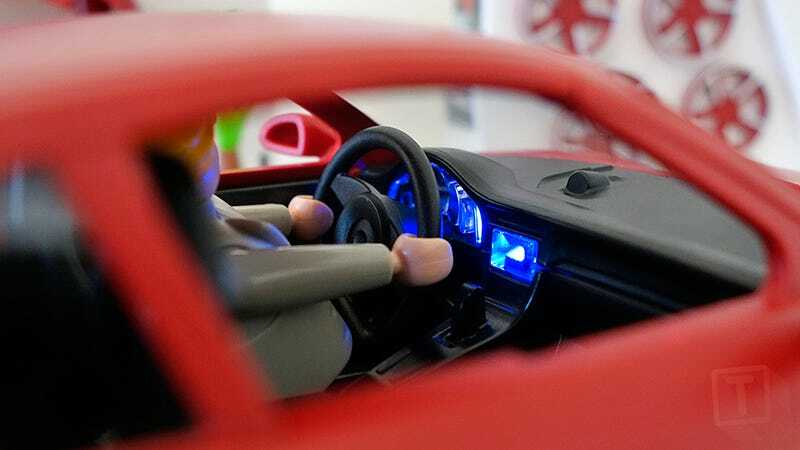 It’s a small feature, but it adds a surprising amount of realism to the replica when you turn the LEDs on in a dark room and the inside of the vehicle glows blue, including the driver. 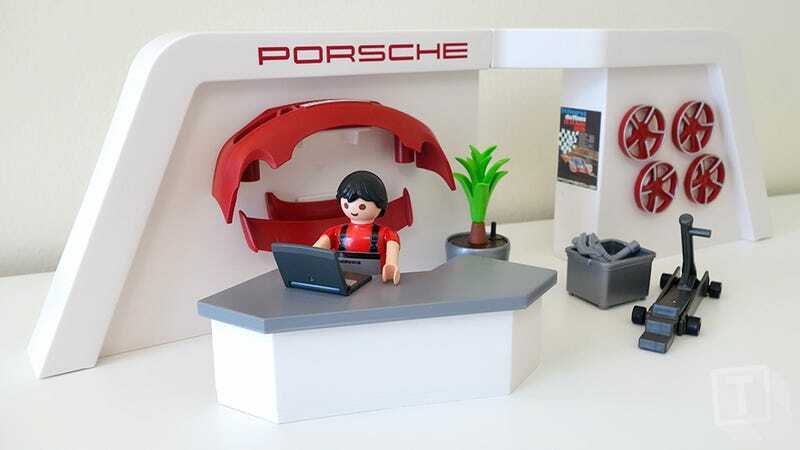 The aforementioned Playmobil Porsche dealership is a fun addition to the set, and it includes a certified Porsche technician (we’re assuming) plus a box of tools and a jack so he can work on the vehicle. He even has access to a tiny laptop for ordering parts, or a Haynes 911 manual if he really has no idea what he’s doing. 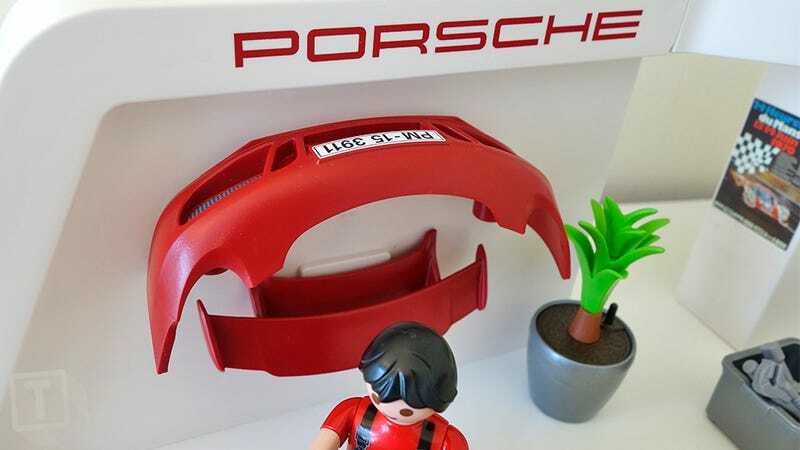 Kids will probably appreciate the dealership playset more than grownup Porsche fans will, except when it comes to what’s hanging on the walls: upgrades for the car. 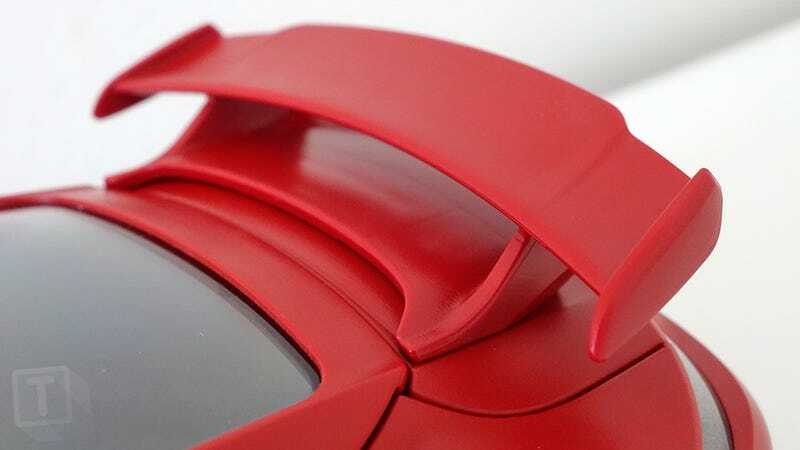 If the stock version of the vehicle just isn’t sporty enough for your tastes, it can be enhanced with an included snap-on spoiler making it more suitable for track day. The set also includes a replacement front bumper (the stock bumper easily snaps on and off) that adds a pair of more aggressive scoops. And it even comes with an extra set of hubcaps incorporating the red colour scheme over the rest of the vehicle. The upgrades are subtle, but they definitely change the overall look of the vehicle. 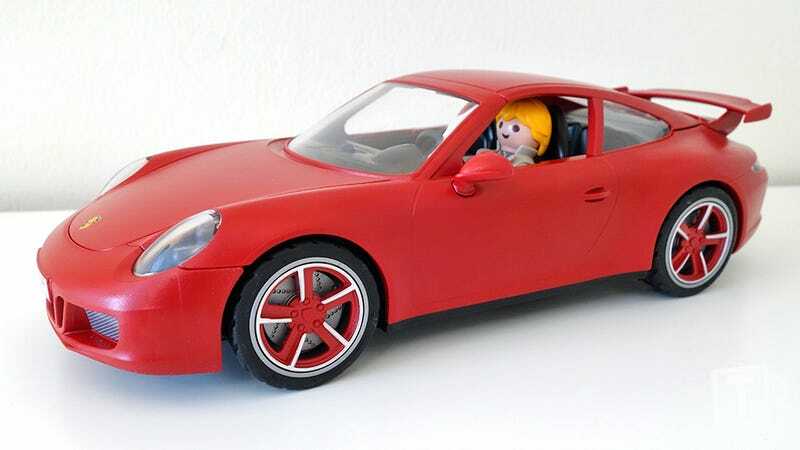 It would have been nice, however, if Playmobil had included a helmet as an upgrade for the driver too, given he’ll most certainly be tempted to rag his upgraded Carrera S as soon as he rolls out of the dealership. 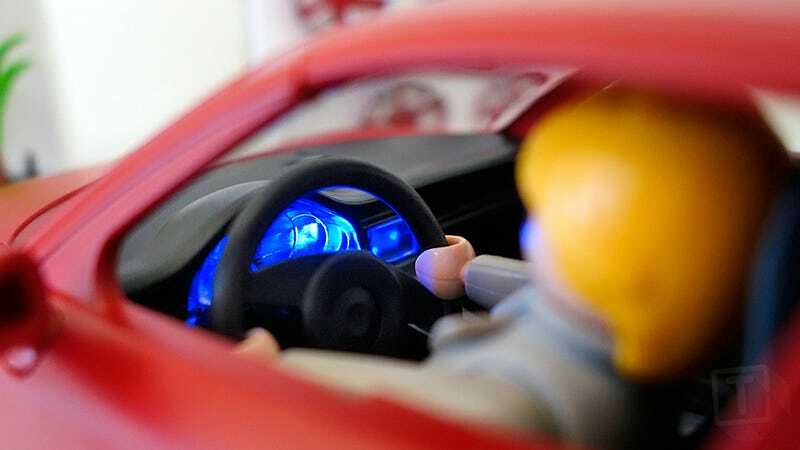 Hopefully there’s some airbags hidden away inside the toy.